This sativa-dominant hybrid is a descendant of a Jamaican sativa, a Laotian sativa, and the indica-dominant Afghani Hawaiian. 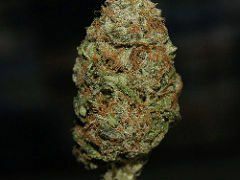 The ratio of sativa to indica is about 80:20, meaning this is a great strain for daytime use and clearheaded thinking. 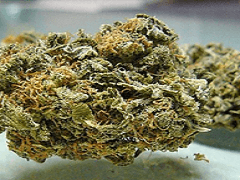 THC is very potent, topping 22% in some tests, but CBD is much lower, slightly less than 1%. In other words, this isn’t a very good choice for epilepsy and other conditions that are treated with CBD. But it’s a great choice for relieving anxiety and depression, fatigue, ADHD symptoms, migraine headaches, mood swings, and physical pain. The high is creative and euphoric, with a psychoactive mood boost and a case of the giggles. Amnesia Haze has a fresh, fruity hash-like taste and a sweet, earthy smell with hints of spicy pepper. 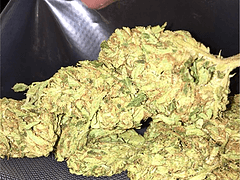 Nugs are light green with darker brown strands and a blanket of trichomes. 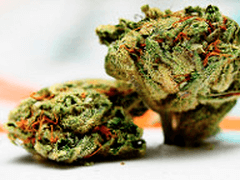 This strain can induce cottonmouth and bloodshot eyes, while paranoia and dizziness are also reported. It’s probably easier to find this international strain in parts of Europe than in the United States, but dispensaries in Colorado, California, Washington State, Oregon, and Michigan sell it. Amnesia Haze is also popular in British Columbia.